Name : Nathan Kaufman, Esq. 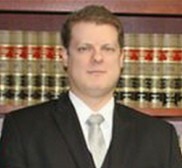 Nathan Kaufman, Esq. joined the Law Office of Ronald D. Weiss, P.C. as an associate in March 2014, where he focuses his practice on Chapter 7 and 13 consumer bankruptcies and small business Chapter 11 bankruptcies. He is admitted to practice in the states of New York and New Jersey, and the United States District Courts of the Eastern District of New York, the Southern District of New York, and the District of New Jersey. Prior to joining our office, Nathan was an associate at a Brooklyn-based commercial litigation firm and a Manhattan-based insurance defense firm, maintained a solo practice based in Queens focusing on debtors’ rights (bankruptcy, state court litigation, and foreclosure workouts), and was an assistant law clerk to Hon. Paul Wooten, J.S.C., New York County. Nathan graduated from Yeshiva University’s Benjamin N. Cardozo School of Law in June 2007, where he was an Articles Editor for the Cardozo Public Law, Policy, and Ethics Journal.